WEAAD was officially recognised by the United Nations General Assembly in December 2011, following a request by the International Network for the Prevention of Elder Abuse (INPEA), who first established the commemoration in June 2006. This year (the name of organisation) will be hosting a (name/type of event) on (day, date) to raise awareness about elder abuse. (Organisation name), (Title of organiser/spokesperson), (Name of spokesperson), said it was important to raise awareness about elder abuse as it can be experienced by older people with little recognition or response. “This is a social issue which affects the health, well-being, independence and human rights of millions of older people around the world, and an issue which deserves the attention of all in the community, including this community,” (name of spokesperson) said. According to the World Health Organisation, prevalence rates or estimates exist only in selected developed countries – ranging from 1 to 10 per cent. Although the extent of elder mistreatment is unknown, its social and moral significance is obvious. Seniors Rights Victoria Manager Jenny Blakey said there was a growing acknowledgement of elder abuse as a form of family violence but still a big disconnect when it came to the highest incidence of abuse – financial – which accounts for 75 per cent of abuse cases managed by the state-wide elder abuse support service. “Just as respectful relationships within families help prevent family violence, respect for older family members is a primary protection against elder abuse, particularly when it comes to a family’s financial arrangements,” Ms Blakey said. 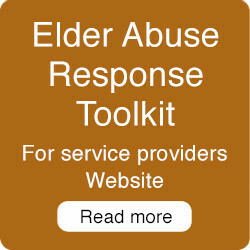 Ms Blakey said the warning signs of elder abuse may include an older person seeming fearful, anxious or isolated. There may be injuries, or an absence of personal care. 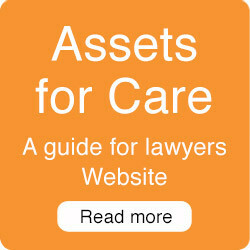 Disappearance of possessions, unexplained financial transactions, and changes to a will, property title or other documents are also of concern. While the mistreatment of an older person may be carried out by one family member, it is often other family members who are best placed to support their parent or grandparent against the abuse, provided they recognise what is happening. Like other forms of family violence, most elder abuse occurs behind closed doors, so it is important for loved ones to watch out for signs, listen and offer help. Older people can reduce the risk of elder abuse by making sure their financial, medical, legal and other affairs are clearly stated and recorded in a family. Older people must also be empowered to recognise the signs of elder abuse and encouraged to state when they are not comfortable with an arrangement. Older Victorians experiencing elder abuse, or family members concerned about an older person, can get help by calling Seniors Rights Victoria on 1300 368 821 Monday to Friday, from 10 am to 5 pm. The website for more information is www.seniorsrights.org.au. For more information or interviews please contact (insert organisation contact name and mobile) or Seniors Rights Victoria’s Media and Communications Adviser Amanda Kunkler on 0407 329 055. This entry was posted in Elder Abuse and tagged elder abuse, Seniors Rights Victoria, WEAAD, World Elder Abuse Awareness Day on May 17, 2018 by Dan.